Compare Phone on a plan, Sim only Pre or Post-Paid Mobile Plans. 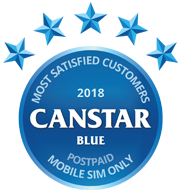 Canstar Blue’s annual review of postpaid SIM-only providers compares plans from Amaysim, iiNet, Vodafone, Optus & Telstra based on factors including value for money, customer service, sign up & activation, billing, network coverage, plan flexibility and overall satisfaction. Canstar Blue research finalised in June 2018 published in July 2018. For the third year in a row, Amaysim has taken out top spot in our customer ratings for postpaid mobile plans. It earned top marks on value for money, sign up & activation, billing, network coverage and plan flexibility. To find the best phone plan for your needs, you’ll first need to determine which type of phone plan you want. 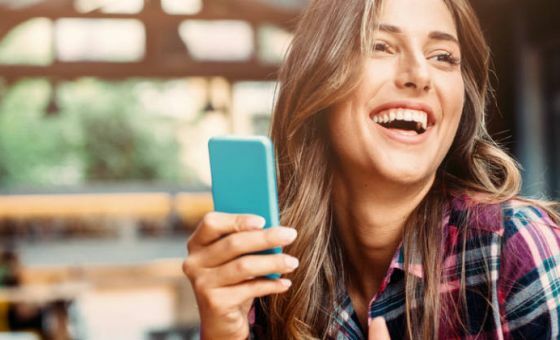 If you desire the perfect trade-off between flexibility and value, then a postpaid SIM-only phone plan may be the way to go. Provided you already own your own handset, you can pick from more than 20 different mobile carriers, all desperate for your business. Activating a new plan is as easy as ordering a SIM and porting over your old number if you want to keep it. But with so many service providers now to choose from, picking the right plan for your needs represents a challenge. Canstar Blue can offer a helping hand with our annual review of postpaid SIM-only providers and their plans. Each year, we survey thousands of mobile users across Australia to find out how they’re getting on with their phone plans, and ask them to rate their mobile service providers based on key factors, including the sign up and activation process, customer service, bill information, network performance, plan flexibility, value for money and their overall satisfaction. While the majority of postpaid SIM-only plans come on no-contract terms, these ratings also include feedback from customers on contracted SIM-only plans. These are not to be confused with mobile phone plans that include a new handset. This year’s review sees the big guys – Vodafone, Optus and Telstra – pitted against smaller providers Amaysim and iiNet. While iiNet is a large provider in the internet space, it uses the Optus 4G network for its mobile services – as does Amaysim. In fact, Amaysim is the largest Mobile Virtual Network Operator (MVNO) in Australia, and has once again topped our customer satisfaction ratings. The result means Amaysim makes it three years in a row at the top. Amaysim was again the only provider to score five stars overall, in addition to value for money, network coverage and most other areas. Note that Amaysim no longer offers new customers postpaid plans, instead electing to offer prepaid plans only. iiNet and Vodafone both received four stars overall, with the former praised for its customer service. Optus and Telstra were both awarded three stars overall. The only top marks went to Telstra with regards to network coverage. Our annual review provides an insight into what customers think of these postpaid plan providers, but what exactly do they have to offer you right now? Below are selected published deals from the providers on our database, listed in order of price, some of which include a link to the retailer’s website for further details. This table includes sponsored products; you can use our comparison tool to find more plans from other providers. Amaysim has ceased offering postpaid plans, but did have five postpaid phone plans on offer, starting from just $10. Plans were SIM-only and offered on both a postpaid and prepaid basis, so the below prices and inclusions still apply but only as prepaid offerings. Plans max out at $50 per 30-days – this coming with 40GB data. Amaysim benefits from having unlimited calls & texts with all plans, as well as international call allowances on the $30, $40 and $50 plans. As it stands, Amaysim’s $10 plan (not listed below) is one of the cheapest to have unlimited calls & texts plus 1GB on board. Note that the plans below are identical to its prepaid plans – if you wish to shop with Amaysim, you’ll be led to prepaid plans. iiNet is probably best known for its internet services, but it also has a fairly concise range of month-to-month, SIM only postpaid deals. iiNet kicks things off at $15, with plans maxing out at under $40. There is a $10 SIM card setup fee, but other than that what you see is what you get. Vodafone is another provider that offers both 12 month and month-to-month SIM only options. Prices start at about $35 a month on 12 month terms and going up to $80 for 80GB of high-speed data (and unlimited data at a capped speed) and you’ll regularly get special offers such as bonus data and discounts. 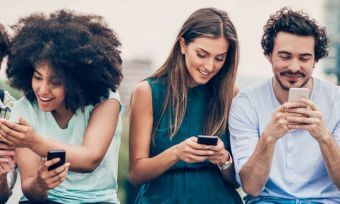 The month-to-month plans have less data for your money but you are able to add Vodafone passes to these plans for data-free music and video streaming, chatting or social media browsing. Many plans also come with generous international call allowances, Qantas Points and more. Optus has a few postpaid plans across both month-to-month and 12 month contracts. As it stands there are some incentives for signing on for a year, including cheaper plans, more data and other perks. On a month-to-month plan you’ll get much less data than the 12-month plans and while the 12-month plan only requires you to pay an extra $5 for the Mobile TV streaming (if you want it), the month-to-month plan requires you to pay an extra $5 for the music streaming in addition to the $5 Mobile TV streaming. Rounding out the list is Telstra, which offers a range of three 12-month plans. All plans get access to free and data-free sports streaming including the NRL and AFL, plus access to the Telstra Air WiFi network and data-free Apple Music streaming. Plans start at about $49 a month and go up to $89 a month, with bonus data often offered on these plans. As you can see above, there are lots of great postpaid SIM-only deals around. But before you go signing up with a plan, it’s important to understand exactly how these plans work because, unlike with prepaid phone plans, you could be charged more than you were expecting to pay. With postpaid plans, you pay your bills at the end of each billing period. This means that if you exceed your plan’s limitations along the way, you will be charged extra for doing so. Excess data is usually charged at $10 per gigabyte, but some providers charge more and others charge by the megabyte instead, which means costs can quickly add up if you’re not careful. The main advantage of postpaid plans is that you’ll never been left stood by the side of the road unable to make a call, send a text message or use mobile data to chat online. If your prepaid plan had expired, you would need to spend extra money there and then to get your service back up and running. With postpaid plans, you can settle the bill later. The main disadvantage of postpaid plans is the potential to blow out your budget if you are not careful. 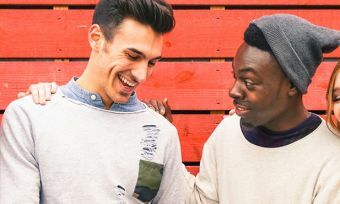 Make sure you know exactly what you will need to pay for going over your plan’s inclusions and make sure that doing so doesn’t become a habit. If it does, you would be better off upgrading your plan rather than paying extra in excess charges. The safety net of being able to make calls whenever you need to means that postpaid plans are probably a good idea for those who use their phones a lot. They may also be the preferred choice for parents looking for a phone plan for their child. If keeping close tabs on your spending is important to you, then prepaid may be the wise alternative. But when it comes to ease of use and maximum bang for your buck, it’s hard to look past postpaid plans. Canstar Blue surveyed 6,000 Australian adults across a range of categories to measure and track customer satisfaction, via ISO 26362 accredited research panels managed by Qualtrics. 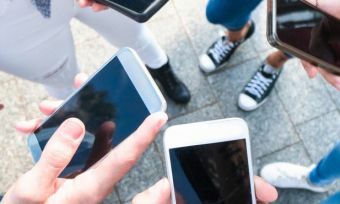 The outcomes reported are the results from customers within the survey group who currently have a prepaid mobile phone plan in their name and they pay the bills – in this case, 1,217 people. Please note: the past ratings listed are for Mobile Phone Plans – with or without a handset. If you’re shopping around for a new mobile phone plan, keep an eye out for these deals. Compare phone plan deals with Canstar Blue. 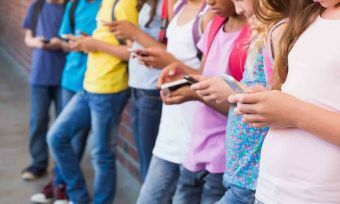 What are the best phone plans for kids? Canstar Blue compares good mobile options for children and provides tips on what to look for. When done right, porting your mobile number should take no longer than an hour. But an hour can turn into days. Get the full lowdown at Canstar Blue.